Enjoy access to the freshest, most nutritious and delicious produce from the comfort of your home. With Homefarm you can effortlessly grow your own organic crops and incorporate them into your daily diet. It’s cultivation simplified. "I love that this product actively supports the sustainability movement"
"This product can be used all year round, giving you the upper hand on that old fruit and veg shop." "Homefarm empowers users to eat the most nutritious food every day." "Enjoy the benefits of the freshest food with the Homefarm Home Hydroponic Garden"
"We're not farmers at all. 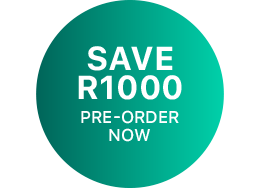 But boy do we want one"
Homefarm is the first product of its kind in South Africa. It is a smart home appliance which can grow a variety of microgreens and microherbs all year round from the comfort of the home. It is designed to fit seamlessly into your lifestyle - as the busy urbanite who aspires to eat and live well. Homefarm is perfectly suited to apartment style living. It adheres to universal kitchen design specifications, meaning it can be easily built into cabinetry to save on premium counter-top space. The Homefarm app, working in conjunction with the product, will guide you through your journey from planting to harvest. It will help to ensure fun and successful harvests, time after time, regardless of age or gardening experience. The Homefarm app is also the best place to be inspired by the curated collection of homefarm recipes to be used with the entire range of Homefarm crops. The Homefarm App launches September 2018. 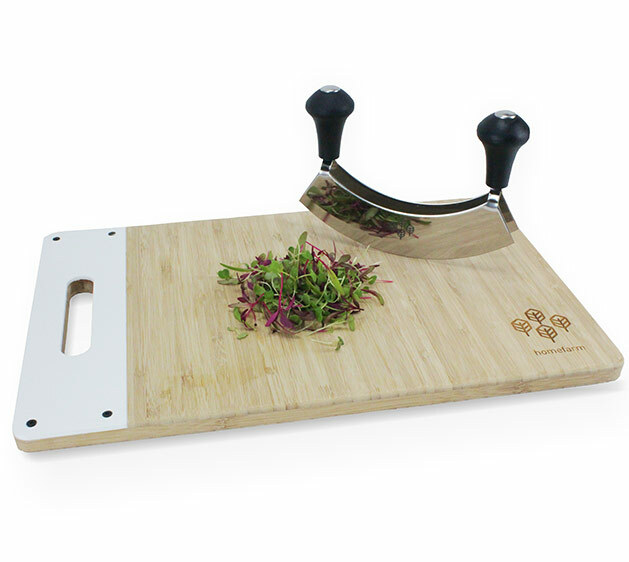 Microgreens are some of the best sources of fibre, micro-nutrients and vitamins in the world. 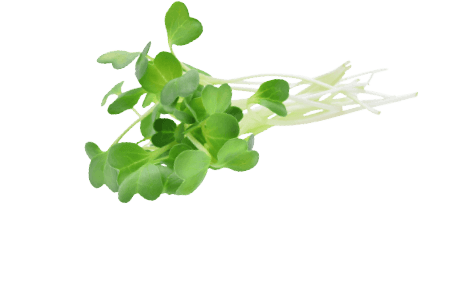 Microgreens are the young greens of vegetable and herb plants, harvested after 2-4 weeks. They are considered a super food. In a recent study conducted by the BBC, 12 different types of microgreens and microherbs were identified in the top 100 most nutritious foods in the world. Not only are microgreens healthy, but they are delicious too. Because of their young age, they have a freshness and intensity of flavour which is unmatched. They can form the basis of, or complement a wide variety of delicious meals.